Interest: Year around evergreen foliage. 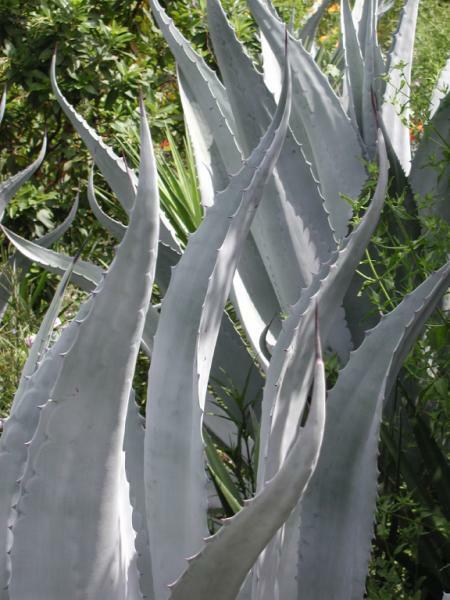 Features: A wonderful iconic agave. Texas native that thrives in Full sun/Part shade. Xeriscape plant. When my husband planted this “monster” Century Agave 5 years ago neither of us knew how huge it would become (wrong info from the nursery)! It was planted about 2 feet away from the front stoop of our house. I have been cutting away at it, poured bleach and drain cleaner on it, and still can’t kill it!! Any suggestions would be most appreciated. (I have read that I should not hack at it with a chainsaw or anything that might cause the “sap” to splash on my skin). Yes Agaves tend to get quite huge. I have seen truly behemoth specimens before. We always remove them the hard way, that is, shovel at their roots until we can yank it out from the ground. If you don’t leave any pups behind the agave should not regrow. 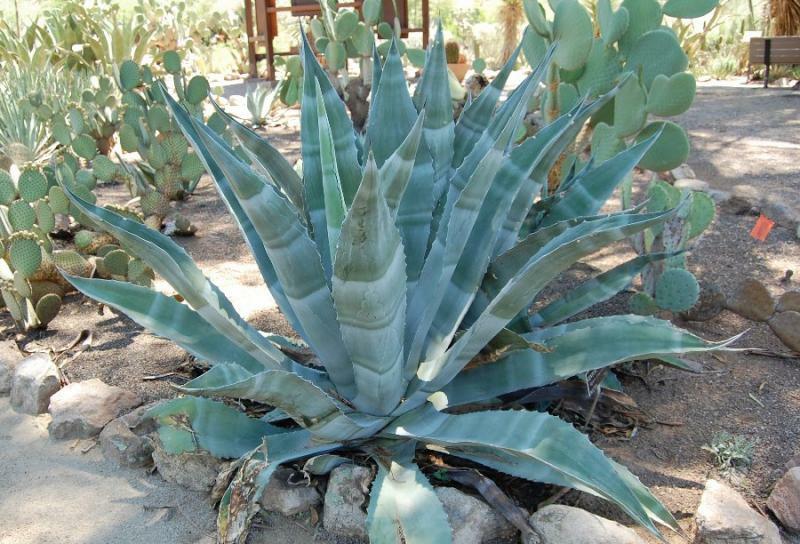 By the way, Agaves are extremely resilient and even if you hurt it badly during the dig up it will be easily transplanted and get back to health in a different location. I HAVE AN AGAVE IN STAGGES OF BLOOMING , IT IS IN SC. WHAT CAN I EXPECT. If you have a century plant. You can expect a huge stalk appearing and extending very tall. 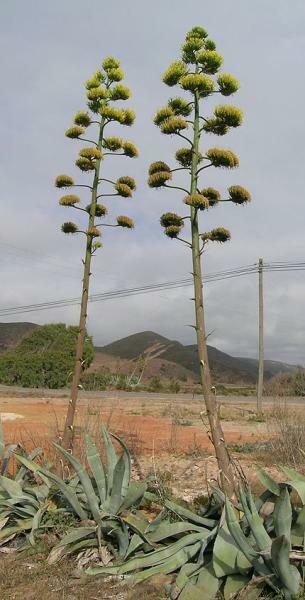 Your century plant will likely to die after it blooms. Hopefully there are small agave pups around the mother plant that will take its place. Take a bunch of pictures, it is truly a sight to behold. HELP .. 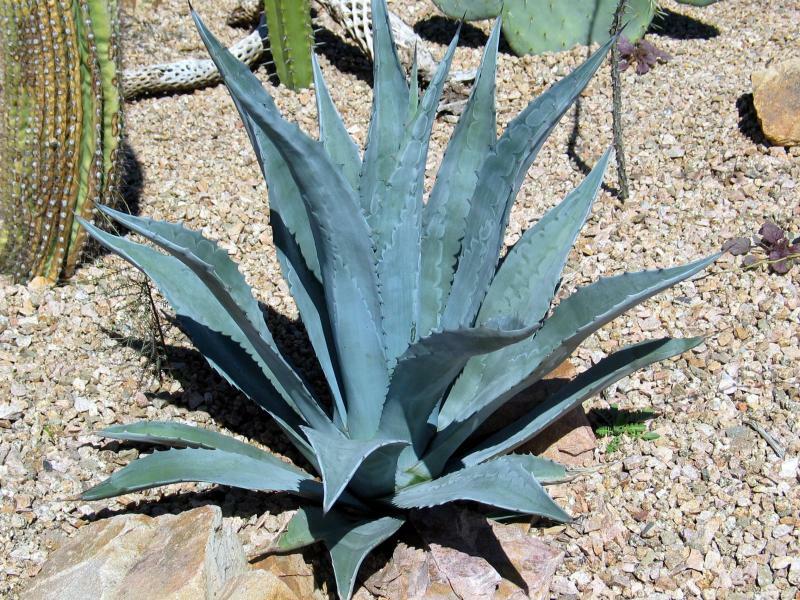 I have numerous agave cactus of various sizes. For the first time since living here, ( 9 years ) the bottom leaves of almost all the cacti are turning yellow. Are the dying? If so, is there anything I can do to help them. I live in Wimberley, rocky soil and of course not too much rain lately. We xeriscaped last year and a neighbor stopped by with a bunch of agave pups that she’d dug out of her yard. We planted ALL of them, thinking, well, maybe one or two will take, and maybe they’ll be big in 20 years and we’ll see them bloom in our golden retirement years. HA! They’re taking over! It’s like Little Shop of Horrors. Which is fine with us. 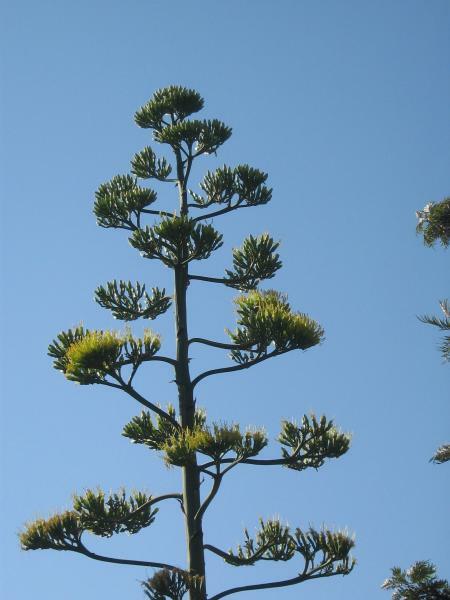 We enjoy your site and where wondering if the Agave Plants(Century Plant) are Deer Resistant? We live in San Antonio area and have a herd of young deer that bed down near our home. (2 bucks in this herd, 4 & 6 point this year). Also, FYI- Peace Lilys’ (Spathiphyllum) are not Deer Resistant, we HAD several that were about 5′-6′ wide & 4′-5′ tall, 2 of them are still alive & seem to be coming back? Slowly… All were ate down nearly to the ground! I bought one in a one gallon size container and planted in a large clay pot. It did well, tripling in size during the summer, but in the winter was badly damaged by the frost. The dead leaves are very hard to remove because they are tough and hard to access due to the thorns. I hope new growth will cover the damage. 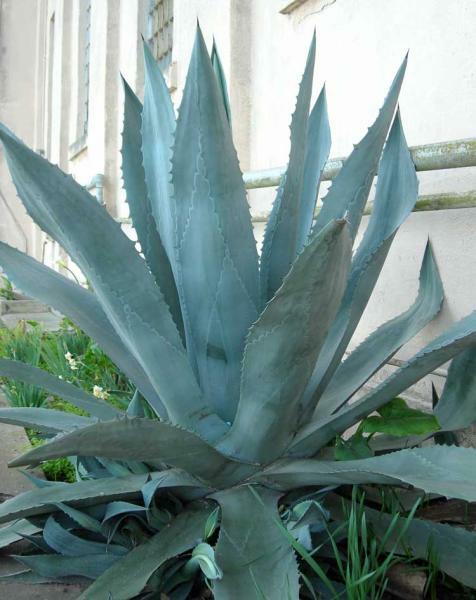 Yes Agaves are frost sensitive and will get damaged on especially harsh winters, especially so when they are planted in pots. But no worry, they are very vigorous plants and will regrow back to health soon enough.